I like it! And I've been waiting for the space weed conclusion. I'd like to see the lumberjacks in action sometime. I'm glad you explained the termite jar, though--I couldn't figure it out from the picture. Maybe they are in the book already, but you need some twins with a crosscut saw. You can't have lumberjacks without a crosscut saw. I second Chris and his crosscut saw idea. Also, lumberjacks are surprisingly awesome. I'd love to read this one. 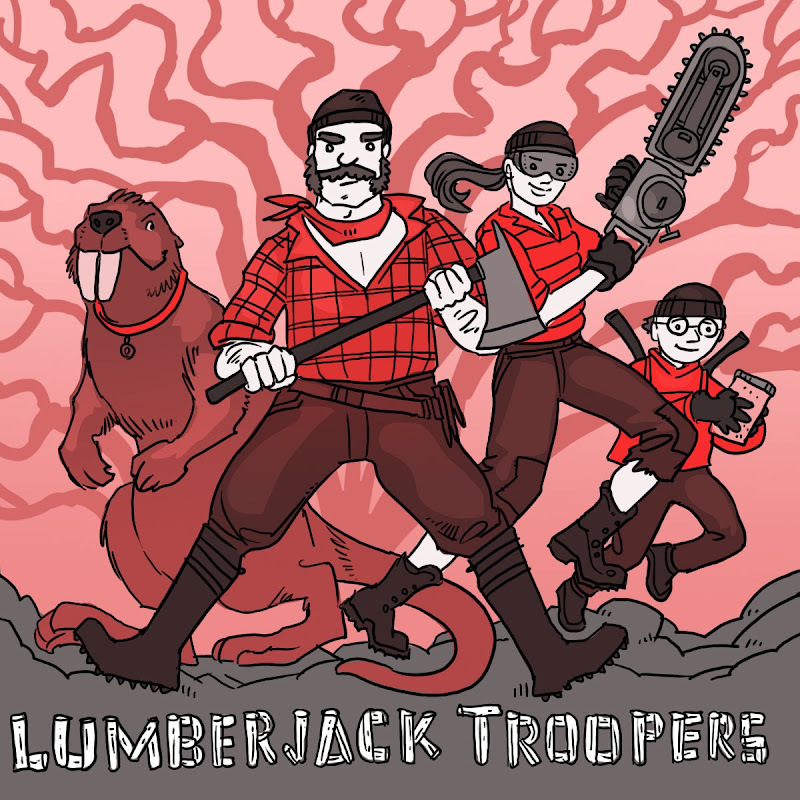 Please do the Twelve Days of Lumberjack Troopers. I laughed so hard, I almost had to lie down. A resurrected Castaroides beaver? Only you, Nate . . . only in Nate World. . .
Ah! The crosscut saw! Of course! I can't believe I missed that! Consider it in. Jessica, thanks for laughing. That is my goal here. But I'm confused, do you want a Christmas themed Twelve Days story? Because I'll do it. So far the Twelve Days thing has been a magic bullet for me. Forget the Crosscut saw, some of those lumberjacks better be cross dressers for the Monty Python fans. So it's lumberjacks that resolve the space weed problem, huh? And I was sure that Dr. Benjamin Rush's Homemade Bilious Pills were going to come into it somehow. I think your main tree monster in treemageddon should be the infamous "Tamarisk" They are as invasive as it gets. PS, Thats one big Beaver!!!! Whoa! If anyone saw the comment posted earlier in Japanese(?) it was linked to some serious spam. I apologize if anyone clicked on it. In the future I'll be more vigilant about recognizing and booting spam.